We are working on Spec 2.0, and it will provide not just the classic Morphic bindings but also a new option for developers: Gtk3 bindings! Why we want a Spec 2.0 with different backends? First, to provide a validated abstract Spec 2.0 that can be used with different backends, preparing Pharo to be able to switch backends without needing to recreate the full IDE from scratch each time (a problem we have partially now in our way to deprecate Morphic). Because there is still an important place for desktop applications market and most medium-size to big business still require them. Because Pharo itself is a desktop application! (And we need to provide the best experience possible on it). For us, this is a fundamental step to continue improving Pharo itself, and it matches also the work we are doing on going real-headless: Pharo users will be able to start the Morphic world, a Gtk application or the next backend to come. There are some other important players in the “native widgets scene”, so why we choose Gtk3? Gtk3 is cross platform. Yes, technically is just “native” in linux, but it works on Windows and macOS too. It is very mature and popular. It is made in plain C.
Old GT tools will be replaced by new Spec tools (while preserving its power). Calypso UI needs to be rewritten in Spec 2.0 (it is in plain Morphic now). Pharo launcher as a standalone application is a good example of what you can do with the Gtk3 bindings. It is still in the early development and we discussed about making it public so everyone interested can join, take a look or provide any kind of feedback. I’m also at discord so you can contact me @skaplar. Pharo 7 (beside many other features) was focused on being able to bootstrap an image right from the source as well as the transition to using git. Also stabilizing Iceberg tool with Git binding to have an improved source code management and give Pharo and its source code more exposure to the outside non-Smalltalk world. Now Pharo 8 (which is currently in development) will focus on an updated version of Spec called "Spec 2.0". To build abstractions and prove that other backends (beside Morphic) could be used there is a plan to have a GTK binding as a second backend. This goes back to the old "Mars" project from Esteban - a native user interface framework which aimed to bring the native UI into Pharo. If I remember correctly back at the time it used an ObjectiveC Bridge. This was already discussed on PharoDays 2019 and now Esteban gives some more detailed infos about the background on the Pharo mailinglist. 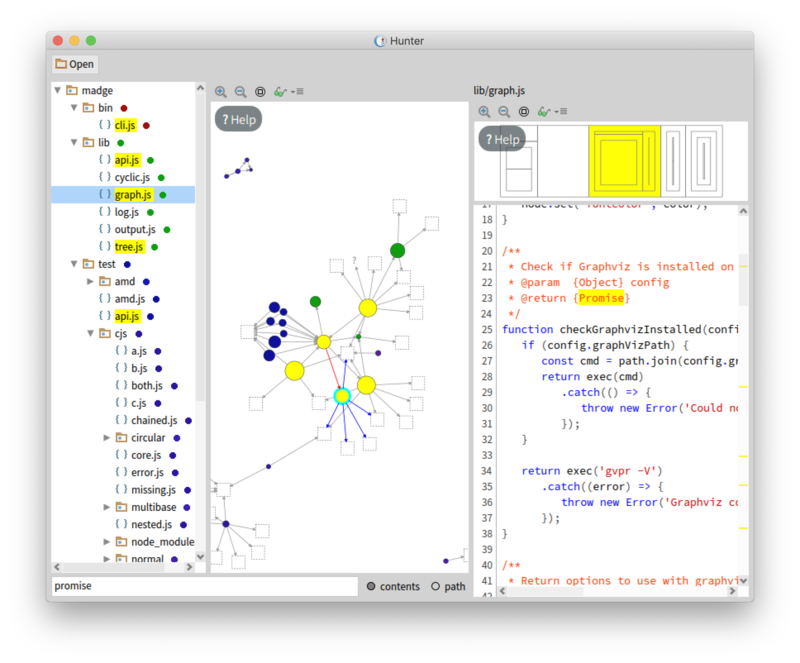 In 2017 Netstyle open sourced a workflow engine for Pharo. I reported about this here. Interesting medium.com article from Andrew Glynn called "Why I Talk About Smalltalk Even Though I’m Working in Java"
Read here what it can do for you. Some work Vincent Blondeau and Stephan Eggermont have been doing on the Taskbar have inspired Stephan me to make some screencasts showing how to do debugger driven development, and take the first steps towards refactoring the TaskBarMorph in Pharo, driven by tests. Hi, this will be a long mail. I have organized it in different sections. This work is sponsored by the Pharo consortium and financially supported by Lifeware and Schmidt. – There are performance issues in Pharo 7. – I have made benchmarks. – With Guille we made an improvement in saving source code in methods. – More improvements to come. – Automation and CI in the future. measure it or repeat its execution it is worthless. cover normal operations of the image. line tool and the ability to generate a CSV file. assert that we are not breaking anything. negative are improvements (less time)). Having the benchmarks, it was easy to start looking for the problems. Pharo 6 in the compilation of methods. Again there are more details in the attached file. Also, we have ported this fix to Pharo 7.
and build to detect regressions in the changes. performance of Pharo. Of course, I am open to all your comments. In Pharo 8 it is now possible to use ComputedSlots. Beside the regular instance variable (slots) we add a computed slot with a block. Let's assume I would like to implement a Person class with a name and firstName but also get a fullName. it would return the full name 'Douglas Adams'. to achieve the same - but a computed slot shows up really in the inspector as if it would be a real variable and is recomputed if you for instance would change the name or firstName. So if you are curious about DNS then this is a great opportunity to add your favorite RR implementation to it and send a PR. There are probably 20+ of them to go. Pharo Launcher 1.8.1 has just been released! It is available from http://pharo.org/download. Thanks to all contributors, including issue reports. A first version of the first part of the book “managing your book with iceberg” is available at http://books.pharo.org. I happy to announce that Pharo with Style is now available from http://books.pharo.org. I’m happy to announce a new booklet (soon to be released) on how to manage code with Iceberg. We plan to discuss management patterns in the future. I’m working on having a telepharo image based on the pharo minimal image. With the help of pavel and Allex I prepared a usable artefact on github that can be used. Both images are based on Pharo8. contains a 32 bit minimal telepharo server image. It is 12,1 MB in size. And there is a 64 bit full pharo telepharo client image in the archive that can be used to connect to the minimal server one. I did not include the vms in the archive. These you need to install separately. I’m planning to make a pharothings release available as well when the telepharo release is considered stable.